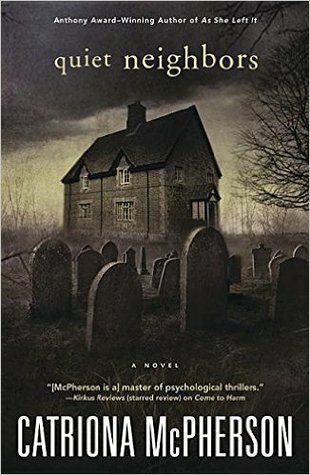 It’s been a while since I’ve read a contemporary mystery/thriller, so when I read a blurb for quiet neighbors by Catriona McPherson I decided to give it a try. It’s an oddly compelling book, with a slow build at first that then gets hard to put down. The old man is still there and he’s just as kindly. On the spot, he offers her a job and a place to stay. His mannerisms are odd, but she puts it down to old-fashioned politeness and loneliness and besides, she’s desperate. Because she’s terrified of being discovered, particularly by police, whatever she did must be criminal and pretty bad. The truth dribbles out little by little, aided by the arrival of a pregnant teenager who claims to be Lowell’s long-lost daughter, whom he never knew existed. Her mother, Lowell’s ex-lover, is recently dead. Lowell welcomes her with open arms. Jude is more suspicious. It’s hard to tease out whether she’s overly suspicious or has cause. But Jude can’t focus on obsessing over the daughter. While sorting the used books, she stumbles on yet another mystery. Years ago, someone was apparently murdering elderly residents of the town. Is the murderer still around? This novel is entertaining, although rather farfetched. 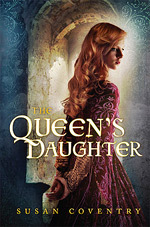 Jude is an intriguing protagonist and the daughter is a good foil. I had a bit of trouble with Lowell, who never really jelled for me as an actual character. I couldn’t quite tell what the author was going for with him. Maybe that was deliberate, given the mysteriousness of the goings-on in the town, but it detracted a bit from the story. Yet after multiple twists and turns of the plot, there was a satisfying conclusion. If you’re interested in a thriller that combines a bit of gothic creepiness with a bit of farce, you’ll enjoy quiet neighbors. I’ve been waiting for this one! 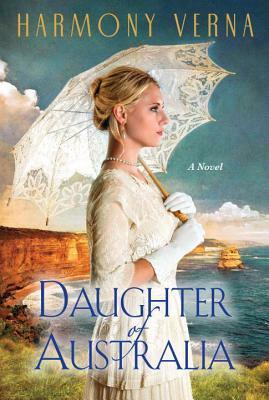 Daughter of Australia by Harmony Verna is an epic historical novel set in Australia in the early twentieth century. Leonora is orphaned at a very young age. Her earliest memory is being abandoned by her father in the baking heat of the desert. If not for the fortuitous passage of a Good Samaritan (a one-time miner, now laboring wherever he can find work), Leonora would never have survived. She is sent to an orphanage to be brought up by a gentle priest who is fighting his own demons. At the orphanage, she makes one friend, a boy named James who has been there since infancy. James can’t abide cruelty and when he sees the other children mistreating Leonora, he takes her under his wing. The orphanage is far from idyllic, but it’s much better than what life has in store. James is discovered by an aunt who comes from Ireland to claim him. A sturdy, strong, patient boy, James is set to hard labor in the unforgiving Australian farmland. Leonora is adopted by a wealthy American couple and is moved to the United States. Although provided with every material comfort, Leonora is denied any semblance of warmth. Her life is controlled every minute by a woman who seems bent on wringing any sense of self from Leonora. Perhaps the woman’s cruelest action is to coerce Leonora into marrying a wealthy, cruel man whom Leonora could never love. The lives of these two protagonists is about as bitterly unhappy as two people could be. But they are resilient. Leonora’s husband’s job takes them to Australia where she blossoms, finding strength as she rediscovers who she is. Fate brings James back into her life, offering hope to them both. This is a lush love story set against the backdrop of a harshly beautiful frontier. The struggles of the characters are heart-breaking and you’ll find yourself rooting for goodness to triumph over cruelty. 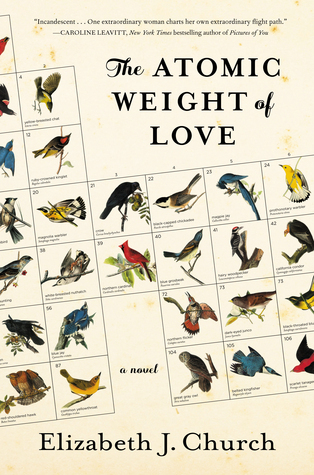 For an example of the importance of voice in a novel, I recommend The Atomic Weight of Love by Elizabeth J. Church (Release date, May 3, 2016). From Meridian (Meri) Wallance’s first musings in the prologue, I was caught by the voice of this extraordinary protagonist. Meri is a brilliant young woman who is fascinated by birds. 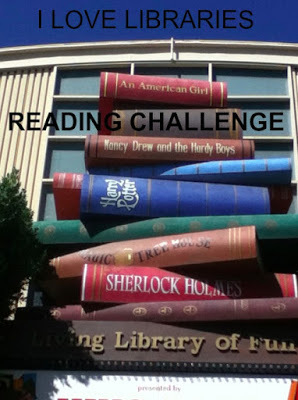 She studies biology at the University of Chicago and dreams of becoming an ornithologist. She wants to know not just how birds fly but why. Throughout the novel, the bird (crow) imagery serves as a lovely metaphor for Meri herself and for her peers. Alden is tapped to go to Los Alamos to work on a secret government experiment. He is thrilled. Meri, less so. Although they have to spend the war years apart, they marry. Meri graduates and is accepted into a graduate program at Cornell. Nevertheless, after essentially no debate on the matter, she moves to Los Alamos to be with her husband–on a trial basis. She intends to defer admission for a year. Alden, of course, has a different view. She’s his wife, after all. This is a story of sacrifice, misunderstanding, failure to communicate, and a love that falls far short of the ideal but that is, nevertheless, love. Meri lives a life she never intended, struggling to hold on to her vision of herself despite society’s imposition of a different role upon her. She lives through times of vast social and political upheaval, but this isn’t a book about historical events, per se. Meri simply tells us the story of her life, heartbreaking in many ways, at times infuriating, but in the end, uplifting. This is Elizabeth Church’s debut novel. I can’t wait to see what she writes next! I love historical fiction about Ancient Rome, but until I discovered Elisabeth Storrs’ fascinating series (A Tale of Ancient Rome), I knew next to nothing about Rome’s near neighbor, Etruria. I had no idea how great their empire once was, the "capital" of which–the city of Veii–lay just twelve miles away across the Tiber. The Etruscans had a vibrant culture that differed greatly from that of Rome. In many ways, it was the more advanced. Intermittent warfare broke out between them, separated by periods of truce and trading. In Storrs’ first novel, set in ~400 B.C., The Wedding Shroud, a truce is sealed with a wedding between a young Roman woman, Caecelia and an Etruscan lord and general, Vel Mastarna. I highly recommend starting there. These books are addicting, and now readers new to the series can follow Caecelia and Vel’s story straight through. 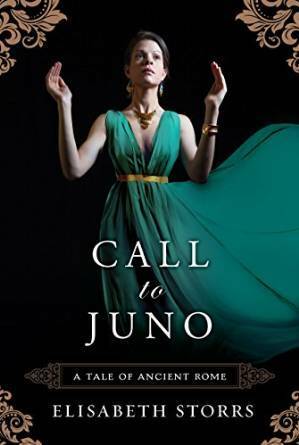 In Call to Juno, the third novel, Veii is under siege by Rome. Mastarna is the reluctant ruler of the city, charged with trying to unite the various Etruscan factions to drive away the enemy. In addition to saving his city, he must save his beloved wife. It’s almost certain that one of the conditions of any truce would be to surrender Caecelia back to Rome where she will be tried as a traitor and executed. So a truce is not an option for Vel or for Caecelia. Mild spoilers to follow though I’m trying not to give too much away from the first two books. Caecelia’s cousin, Marcus, once her most cherished friend, is determined to recapture her and purge the family name of dishonor. He has risen through the ranks of the Roman army and is now serving under the general besieging Veii. Pinna, a young Roman prostitute, has also risen in the world, having become the concubine of the Roman general. Pinna is a sympathetic character because her chances have been so slim yet she’s made the most of them. Always manipulative in the cause of self-preservation, Pinna is learning to use her new influence and, in the process, learning about the general. And about herself. Caecelia, now the mother of four, has denounced her homeland, believing that Veii should not only fight to free itself from the siege, but should take the war back to Rome. As in the previous novels, the exotic setting enhances the story of love, war, vengeance and mixed loyalties. The juxtaposition of Etrurian beliefs with those of Rome makes for fascinating historical context. 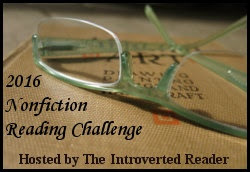 The well-rounded characters and their emotional depth allow each side of the conflict to be fairly represented, though no doubt readers will favor one side. In the best historical fiction, clashes of civilization are humanized to show the true extent of the tragedy. Call to Juno, The Golden Dice, and The Wedding Shroud are in that category of the best. 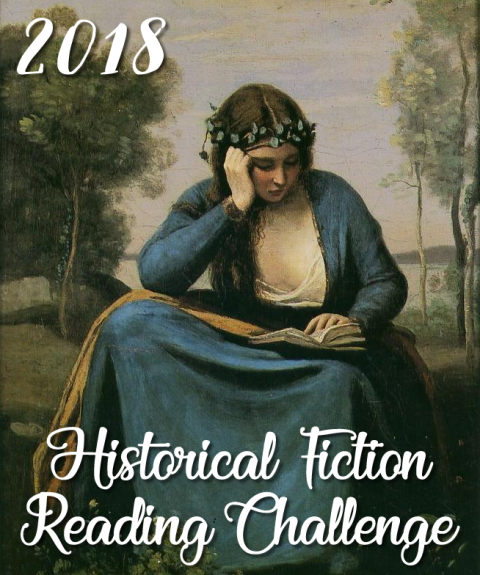 My history/historical fiction book group will be meeting in a couple weeks, and our choice for discussion is 1493 by Charles C. Mann. 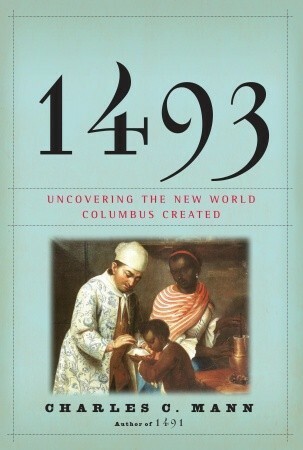 This sweeping book gives an overview of world history since Christopher Columbus brought the eastern and western hemispheres together. Mann’s thesis, roughly speaking, is that the Columbian Exchange changed everything. He then sets out to provide anecdotes and detailed examples of the changes, exploring the economic, ecological, human health, and political impacts in different parts of the world. The book is extensively researched and there are many fascinating historical tidbits. A few of the themes reappear repeatedly, like the spread of malaria and yellow fever and the extensive African diaspora that occurred through the expansion of slavery. These help to tie the narrative into a more cohesive whole. However, despite being impressed by the scope of the book, I found myself getting bogged down in its somewhat digressive style and the mounds of material. To emphasize his point, Mann bounces back and forth in time as he looks at different geographical locations and repeats his observations, or refers the reader back to other chapters. It started to seem that Mann found organizing the voluminous material without editing some of it out was too complex a task. While there is much to be learned from this work, I had a bit of trouble seeing the forest for the trees. I am now up-to-date on one of the series I’ve started recently. It helps that there are just two books so far and the second one was just released this year. 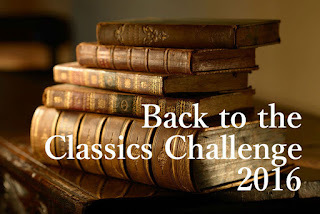 A while back, I read The Devil in the Marshalsea by Antonia Hodgson and was thoroughly entertained, despite some reservations about the protagonist. 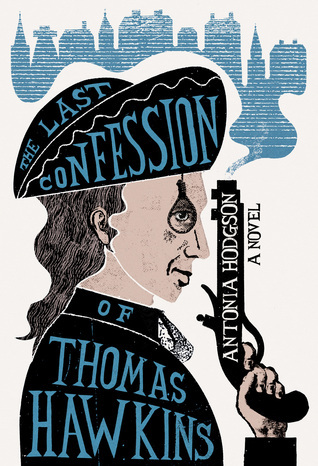 The new book, The Last Confession of Thomas Hawkins continues the story of the wastrel detective after he gained freedom from prison. It is London in 1728. Thomas Hawkins is now living with his ladylove, who has inherited enough money to permit him to drink and gamble to his heart’s content without fear of returning to debtor’s prison. She isn’t allowed the same freedom to roam, being a woman, but he’s explained that is the way of the world and not his fault. They love each other and that’s all that matters. Unfortunately, Hawkins is still discontented. He’s bored. In a weak (drunken) moment, he hooks up with an underworld villain and his unexciting but safe life falls apart. He becomes embroiled in another mystery. As the prime suspect in the murder of his neighbor, it’s imperative that Hawkins find the real killer. Also, he has attracted the attention of people in high places, and is hired, against his inclination, to do some work for the Crown. Thomas Hawkins relies a good deal on his own privilege to wangle himself out of tight spots, but not even gentlemen are allowed to get away with murder. And since he has a great deal of difficulty figuring out who killed his neighbor, things don’t look very promising for Hawkins. This is another tightly plotted story with a fascinating historical setting. As annoying as I find the protagonist who, unfortunately, has learned nothing from his previous imprisonment, the book is a page-turner. Hawkins is fortunate in surrounding himself with characters who are more impressive than he is. The wonderful supporting cast will bring me back for his next adventure. There are so many books—fiction and nonfiction—about Abraham Lincoln, that I think it would be daunting for an author to add another novel to the pile. However, author Stephen Harrigan is up to the task. A Friend of Mr. Lincoln show us Abraham Lincoln as a young man, brimming over with ambition, brilliant, witty, sometimes cruel, and with an iron-clad code of ethics which seemed to privilege "the Law" over what is morally right and to allow him an-end-justifies-the-means pragmatism when it comes to his own political career. It’s a complex and somewhat unsettling portrait of the man I am accustomed to viewing as great and noble, but I suppose everyone is young once. This Lincoln is introduced to us from the viewpoint of the fictional poet Cage Weatherby. Also a young man at the start of his career, Cage is not a political man, but he is drawn to politicians, and there are many of those in Springfield, Illinois in the mid 1800s. Cage has met Lincoln before, during the Black Hawk War, when Cage’s troop was nearly massacred by Black Hawk’s men and Lincoln and a few other soldiers arrived to help bury the dead. The two men remember one another when they meet again, a few years later, in Springfield. Lincoln is a politician who dabbles in poetry and Cage is a poet who dabbles in politics, and the two men hit it off. Cage is calm, thoughtful, sensitive to the needs of others, and loyal to his friends. He is also anti-slavery and evolves into an abolitionist. Lincoln is outgoing and friendly but with periodic bursts of depression that Cage must learn how to navigate. Both men are at a stage in their lives when they are interested in marrying and settling down, but they go about it differently. Cage falls in love with a woman who won’t marry him, so he settles for less–perhaps because he, too, is afraid of the commitment. Lincoln bounces from failed courtship to failed courtship, seeming unsure of what he wants or how to accommodate himself to society women. Lincoln is a lawyer, a circuit rider, and a member of the state legislature, and Cage is a somewhat reluctant but reasonably successful business man and a determined poet. They move in the same circles and admire one another greatly, but the burden of the friendship seems to fall on Cage. Lincoln is high maintenance. The period details and political maneuverings are fascinating. Lincoln’s somewhat ambiguous ethics and Cage’s striving to understand his friend with minimal judging make this a compelling story. It becomes even more complicated when Mary Todd enters the picture. Gage admires them both, but believes they are wrong for each other. It turns out Gage doesn’t have as much influence over his friend as he thought. This book is wonderfully written and difficult to put down. 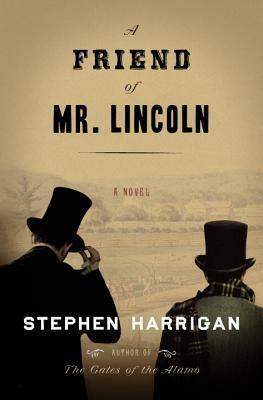 Even if you think you’ve had enough of Lincoln and/or the Civil War, you should give this one a try. 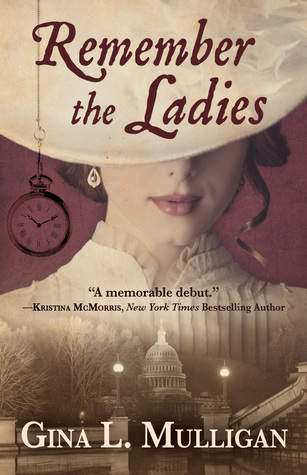 Remember the Ladies by Gina L. Mulligan has an intriguing premise: the first professional female lobbyist takes on the challenge of pushing through the amendment to grant women the vote. Amelia Cooke is orphaned at age four and is brought up in an orphanage. She experiences some kindness there, but mostly she’s frustrated by the different opportunities afforded to girls than boys. A very intelligent child, she wants to continue her education and learn science and math as the boys do, rather than homemaking. She wants people to listen to what she has to say. Instead, she is packed off at age 18 (the age when all orphans must leave) to a job in a factory where she sees women subjected to all sorts of dangers and hardships. When she takes a stand, she’s fired. Fortuitously, Amelia meets a kindly and extraordinarily successful Washington lobbyist. She decides she wants to be his protegé. He eventually takes her on and teaches her the ropes. Her mentor convinces her to use her "feminine wiles," because she is strikingly good looking. Amelia learns to use flirting to her advantage. The biggest client of her career comes along in the 1ate 1880s; the suffrage movement hires her to make sure an amendment is passed to allow women to vote. To succeed, Amelia has to wheel and deal, call in favors, and flirt like mad–maybe even go a bit farther. Amelia has a nemesis, Senator Edward Stillman. The two met back in earlier days when Stillman was an aspiring politician and Amelia was still a lobbyist-in-training. Young and naive, Amelia had a lot to learn about ambitious, handsome men. And Stillman, even in his youth, was seductive, powerful, and slimily charming. So, their relationship was a bad idea all around. Thrown together time after time in Washington, they have since learned to deal with one another’s presence. But now Stillman wants an appointment very badly, and to get it, he has to see the women’s vote quashed. The book is not a romance. The relationship between the two main characters is rather unconvincing and I found their interactions to be the least interesting part of the book. It does do a good job of showing the "sausage being made" of insider politics. Amelia works the system in detailed, organized steps that prove her skill. However, it gives an unpleasant impression that all the work of women suffragists was ineffective and inefficient. In order to achieve their goal, they need a successful lobbyist–no one else can get anything done in Washington since everything is decided by favor trading, greed, and blackmail. The fact that Amelia thrives in this environment (even though she has a somewhat imaginary moral line she won’t cross) makes her an ambiguous character. Stillman is unambiguously a bad guy, though it seems the author tries from time to time to round out the character and make excuses for him. The build up to the vote is exciting, however the conclusion comes about in a way that I found to be a bit contrived. Overall, the book is worthwhile reading, but it’s not something I would count among my favorites.